The Downtown Milford Business Association is pleased to announce the appointment of four new members to its 2019 Board of Directors. The DMBA consists of over 100 businesses in the Downtown Milford area, each committed to creating a strong, viable district that both supports member businesses and brings the Milford community together. 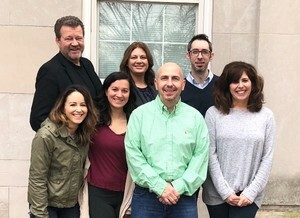 "This year, the new board is focusing on increasing member benefits and growing our unique Downtown Milford events,” said Interim President Karen Fortunati. Fortunati is a Milford local who also serves as a Milford Alderman, is a published author, and participates in a variety of other community work. The board also welcomes back Dan Rascoll, who is returning as Vice President. Rascoll is the owner and founder of Advice For All Seasons, a Milford-based business whose mission is to help other businesses navigate challenges big and small. Dan is also on the boards of the Milford Regional Chamber of Commerce, Milford Education Foundation, and Milford Little League, and actively involved helping in various initiatives with the City of Milford, Milford Public Schools, and other local youth sports programs. Rounding out the new additions is DMBA Secretary Jodee Caruso, who lives downtown and is lead producer at Milford-based Atomic Kid Studios, and DMBA Treasurer Kayleigh Friend, a strategic account manager at Dekko, a leading supplier of power and data in the commercial furniture industry, and a registered yoga teacher. Both Caruso and Friend are thrilled to be a part of the DMBA and eager to continue drawing attention to the downtown Milford landscape.